This steel workbench will be perfect for both professional and personal use. 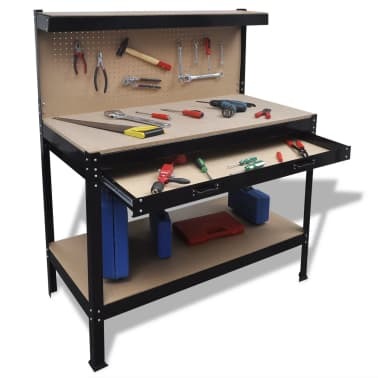 The large drawer provides ample storage space for all kinds of tools and accessories. 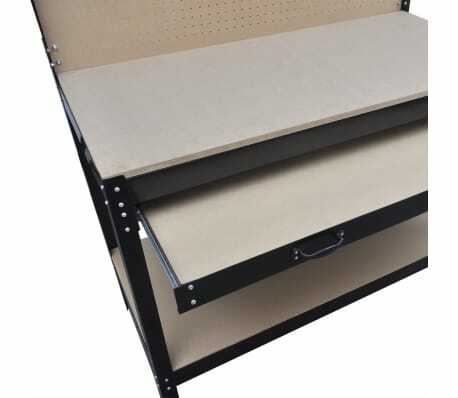 And your tools can be clearly laid out and always within reach thanks to the practical pegboard with hooks. 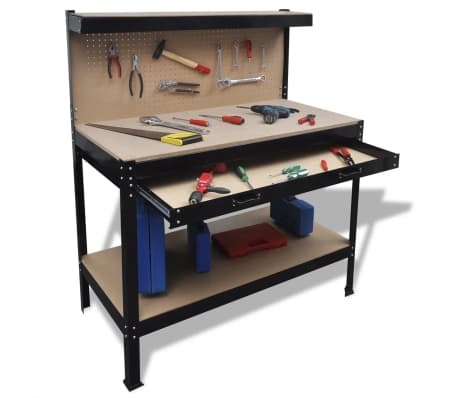 Bulky tools can be placed on the bottom shelf. 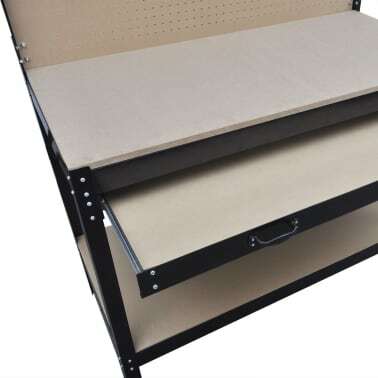 Thanks to the large and stable work surface, you can efficiently work on even larger workpieces. 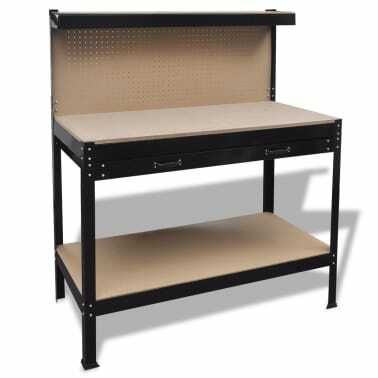 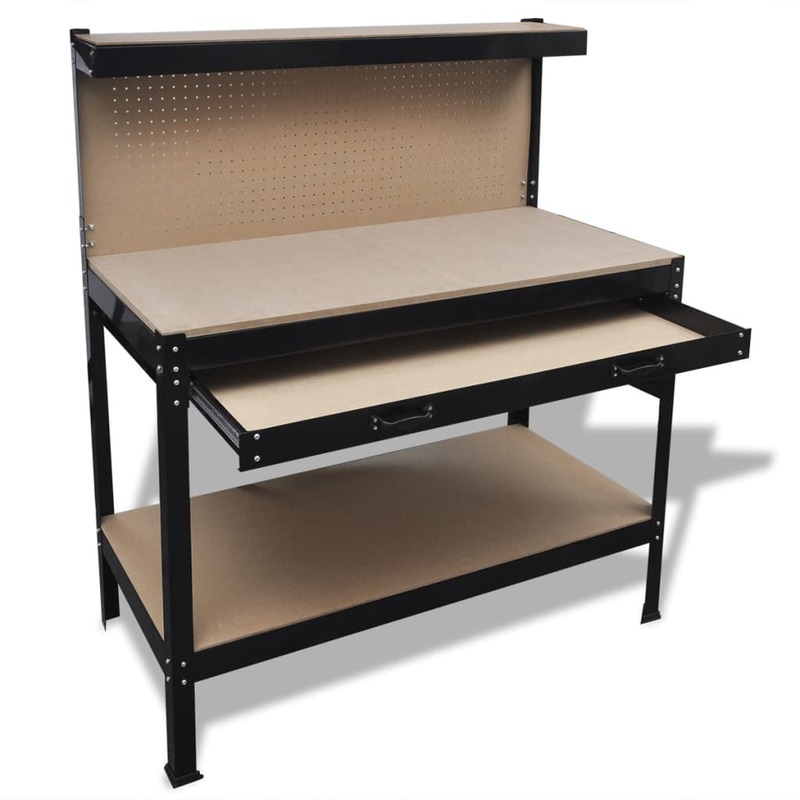 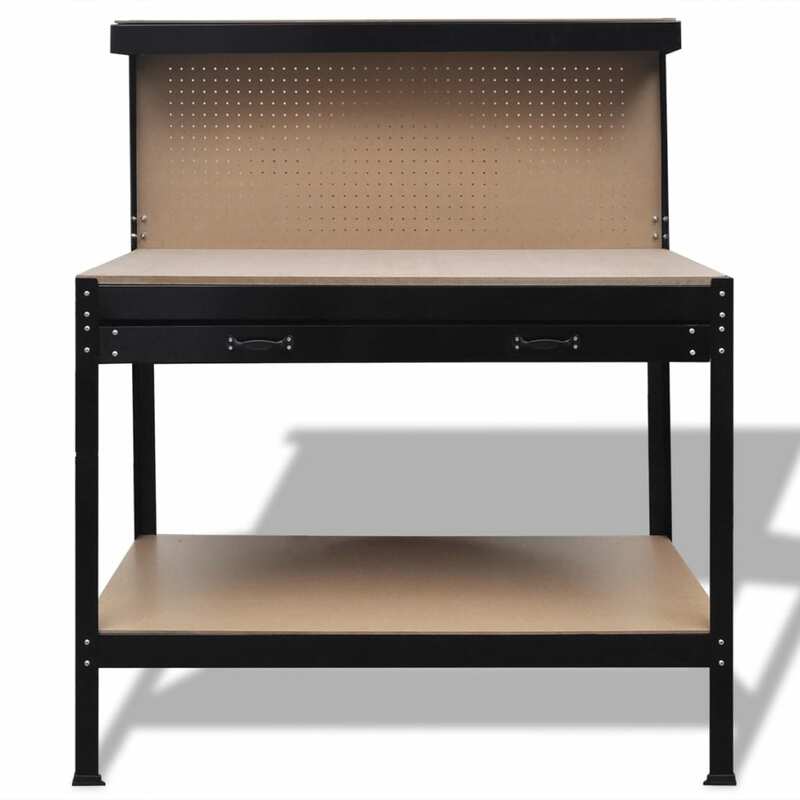 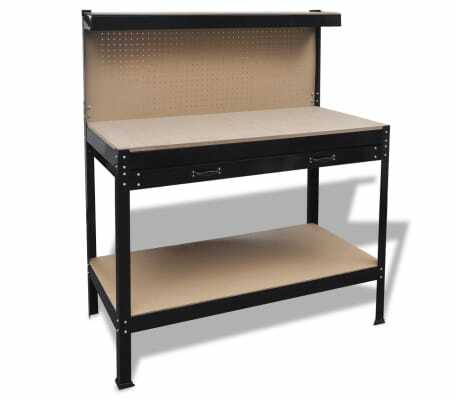 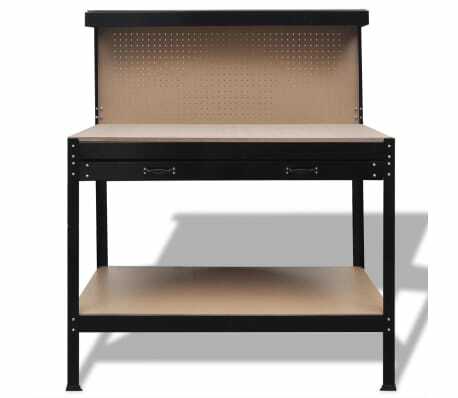 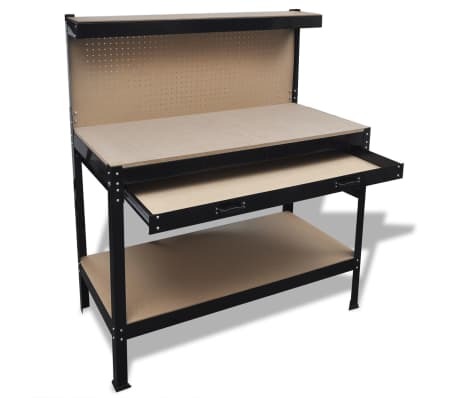 Made of high-quality steel and MDF, this workbench is stable and durable. This workbench is quite easy to assemble and the mounting accessories are included.